If you have ended up collecting some rare books that are of higher value, you need to know how to protect them. Here you will find a lot of additional information on book collecting. In this article we will discuss lightning aspects of the book storage. 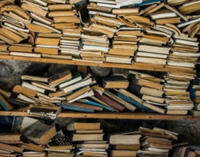 The condition of the books plays an important role in deciding the prices of the books and hence makes sure that the books are maintained properly. Here are certain tips for you to save your collections so that they do not get damaged. Lighting is an important factor to consider while storing books. Certain rare books and its pages are prone to damage when exposed to sunlight, fluorescent lights etc. The pigments present in the pages might deteriorate along with damage in the bindings. Hence it is important for you to light your storage place accordingly. The dust jacket protector has come in handy for many book collectors as it keeps the bindings intact. There are available in all stores or book centers for you to buy a decent one. Some of the dust jackets are not made of authentic archival plastic. Such protectors will keep your books in good condition for a limited period of time but as time goes, it becomes useless. So it is important for you to buy these protectors from leading stores. If you are collecting antiquarian books, there are certain creams available in the market that will keep your bindings intact. Apply creams and stores them in archival plastic covers as mentioned above. If you are still unsure of how to keep your books safe, there are many expert advices on the internet. Follow them to ensure that your rare book collections are maintained in the right way. Only then, you could get proper value for your books.